Interior designer, Claire, and carpenter, JBJ, transform the lives of two siblings who share a bedroom by designing them unforgettable, dream rooms of their very own. Kamri Noel does more than just Google how things work—she gets some of the world’s most knowledgeable experts from National Geographic to explain. Pilot and travel journalist Kellee Edwards seeks out the most remote islands on earth. 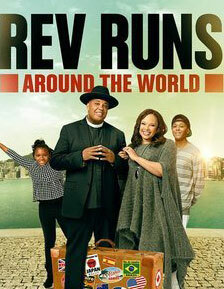 Spanning over 16 countries, Rev Run is taking his family on a worldwide trip. 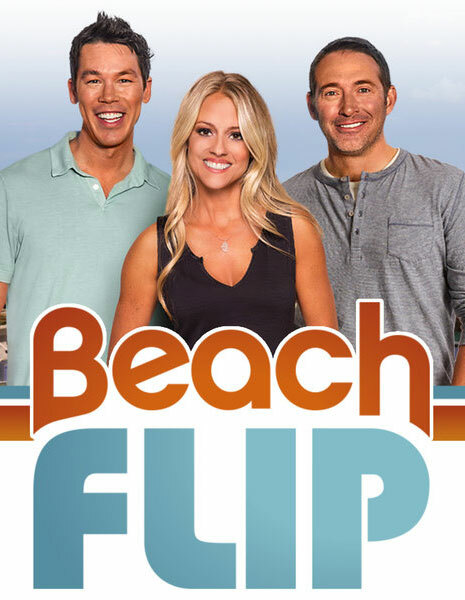 Four teams, along with house flippers Nicole Curtis, David Bromstad and Josh Temple, take on beach houses stuck in the 80s and are given the challenge of renovating them to raise property value in just eight weeks. Carolina Sullivan heats up Miami while she buys, renovates and flips home in the sunshine state. Nicole Curtis is a sweet-talking, hammer-swinging home renovator in Minnesota, working to restore historic homes to their former glory. Matt Blashaw helps couples find and renovate a home in their dream location to command top dollar as a vacation rental. The couple rents out the renovated home for part of the year, covering their annual expenses. The rest of the year… They live in a Vacation House for Free! Rapper turned righteous-man, Rev Run and his family take on a full-blown renovation of their New Jersey home. Actress Jennie Garth is “starting over.” Recently divorced mother of three sets out to renovate her new house, and her new life. Rapper Vanilla Ice invites viewers inside as he renovates mansions in Florida with a rock star touch. Real estate entrepreneur and successful house flipper Rob Van Winkle, a.k.a. Vanilla Ice gives aspiring house flippers the opportunity of a lifetime when he partners up on the job. Hit reality series following real estate companies around the country as they purchase, renovate and sell homes. Popular series documenting the efforts of police departments around the country as their Auto Theft Task Forces bait and bust car thieves. Dozens of installments of the well-known celebrity biography series including Brad Pitt, Ellen DeGeneres, Sean Penn, The Rolling Stones, The Who, Motley Crue and Donnie & Marie Osmond. Ride along with celebrities as they scour the nation’s hottest real estate in search of their newest homes. This unlikely team of Boston contractors fight the clock as they give Boston’s real estate a face-lift. Stephen Fanuka juggles demanding clients and ultra-high end renovations as he works his magic on some of New York’s finest real estate. Quirky star of film and television, Bronson shares his true passion for restoring historic buildings far from the Hollywood limelight. A half-hour series(and hour specials) about psychic investigators who use alternative methods to unlock clues to current crimes. A weekly half-hour series following the most successful paparazzi team in Hollywood as they chase stars and scandals. Bronson and his sidekick Mikey hit the road to save great American architectural masterpieces. Survivor star Russell Hantz teams up with his brother, Shawn, to take on the challenge of Houston real estate investing. Series featuring celebrity chef Michel Nischan as he travels the world discovering new ingredients and techniques, bring healthful food from farm to table. A half-hour docu-reality series following families who desperately need to find a new home. Hour special following paranormal investigators as they explore a haunted house. Series following Jon and Vinny and their hot LA catering company. Half-hour pilot following a Chicago news stringer as he chases stories. Reality show about the “ruff” and tumble world of professional show dog handlers. Ashley and Barrett Gilbreath are transforming their client's Alabama beach houses into breathtaking Southern retreats. A licensed auctioneer in Fort Worth, Texas, is auctioning off entire estates. Buyers have a limited amount of time to walk around the house and decide how much to bid, and the winner gets everything not nailed down. The catch: They only have 48 hours to get the house cleared out. .